The impact of dance in a public setting varies across cultural regions. Depending on the cultural background, it relates to the role of the body in public. 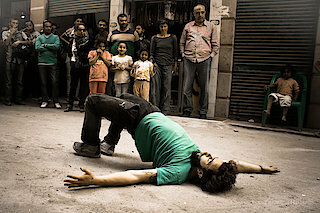 Partners from France, Bosnia and Herzegovina, Morocco, Spain and Egypt have joined forces as part of the EU project SHAPERS, which will present dance in public settings at festivals. As part of the project presentation, the cooperation partners are exploring how dance can help to renegotiate the perception and role of the body in public in the Mediterranean.